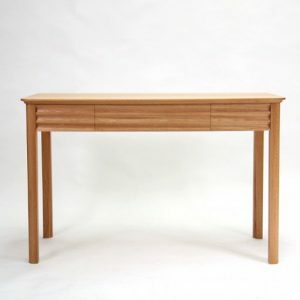 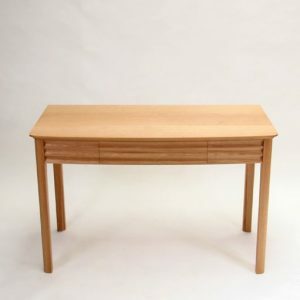 Description : This desk has a contemporary feel but with strong links to the more traditional. 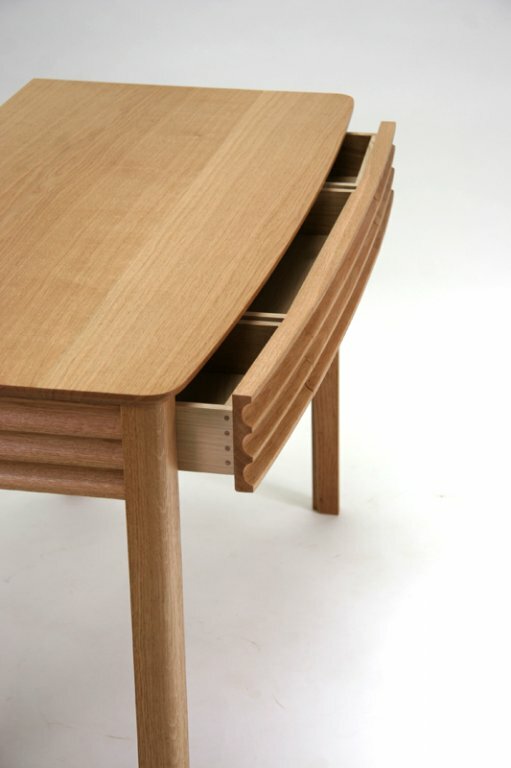 I have used light to create visual interest, with the fluting on the front and sides creating parallel lines of light and shade. 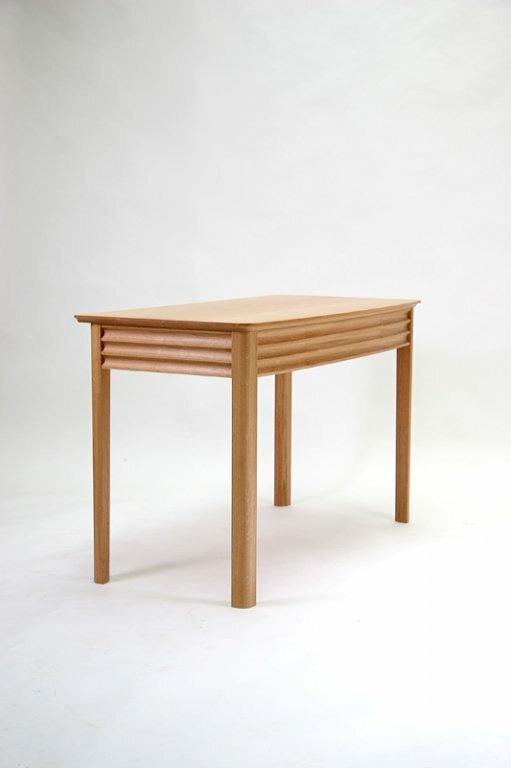 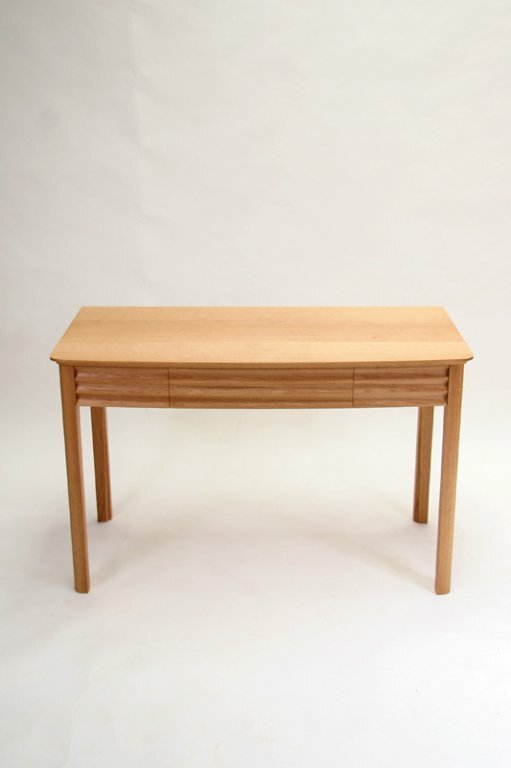 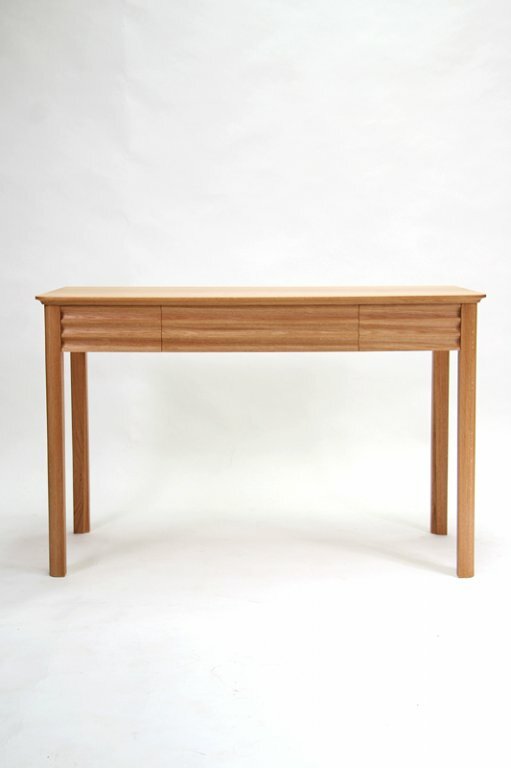 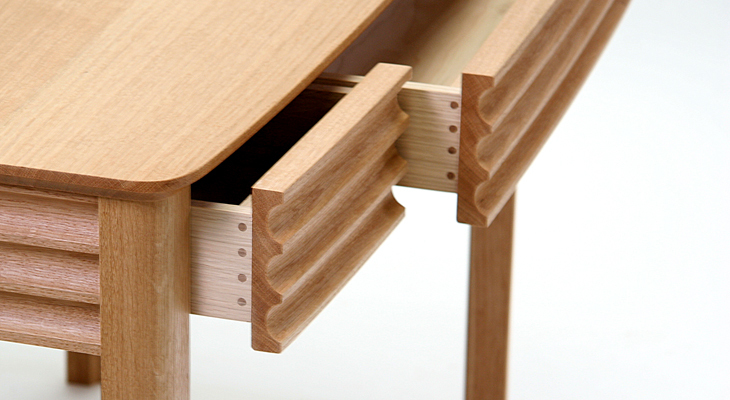 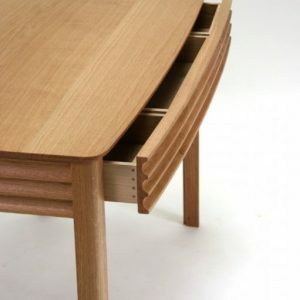 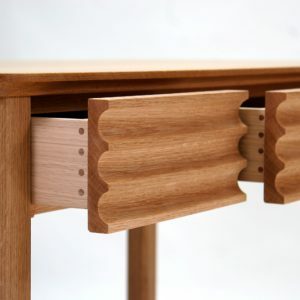 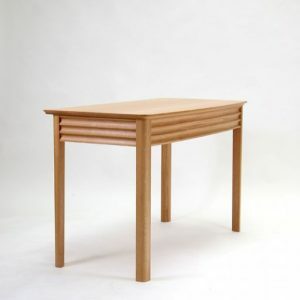 The inside edge of the long slender legs are also fluted in keeping with the detailing on the rest of desk. 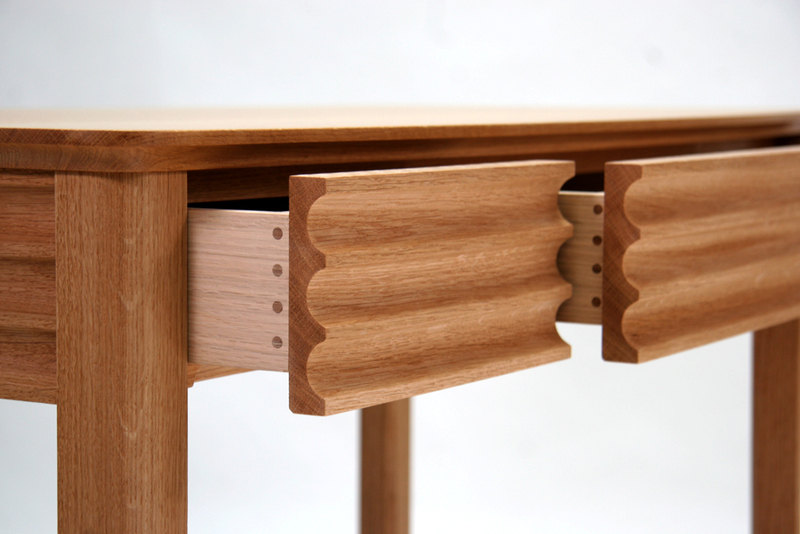 Materials : Oak with cedar of Lebanon drawer bases.